#1 Peaches: Available mid July through mid September. 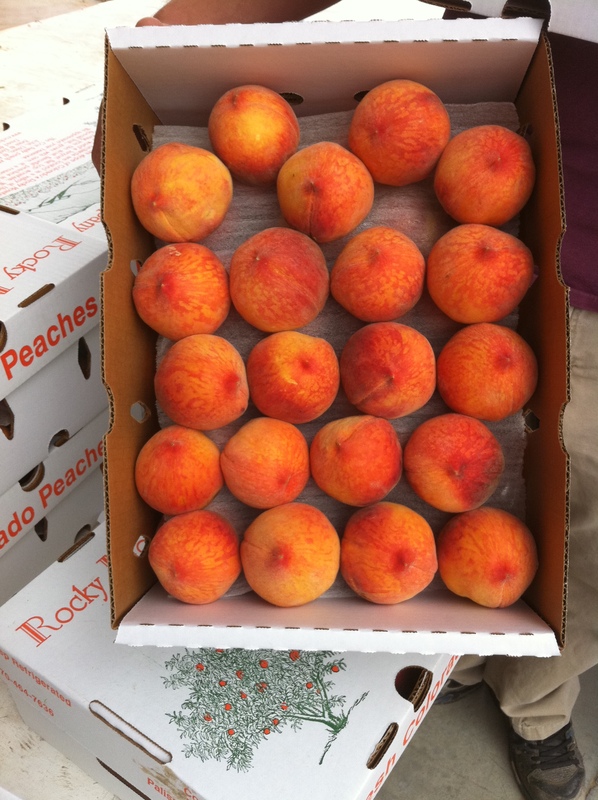 We hand sort and field pack tree ripe peaches into 18-pound boxes, resulting in approximately 40 peaches per box. 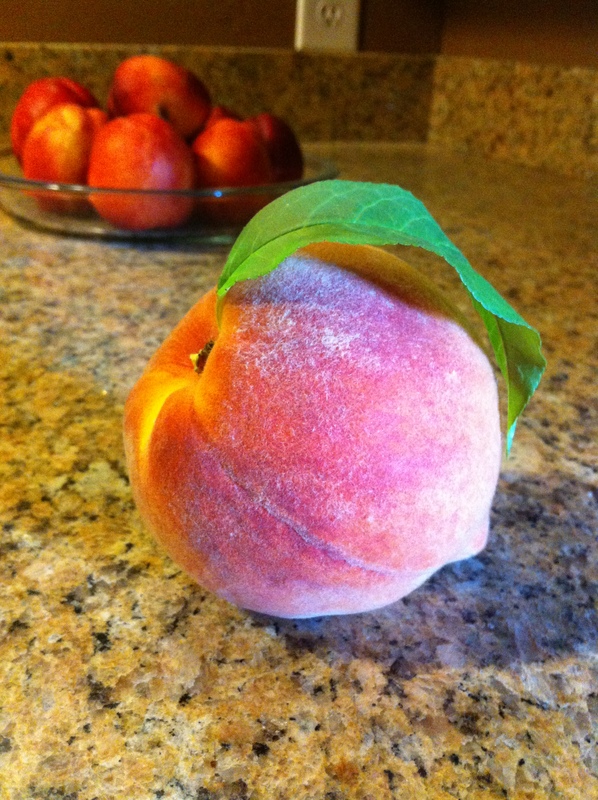 #2 Peaches (Seconds): We have #2 peaches available throughout the season at a reduced price. #2s, or seconds, are just fruit that isn’t quite up to our #1 standards. They are usually smaller, sometimes with imperfections and blemishes, but are still just as tasty, and are an economical option for canning and/or cooking/baking with. Mid-July. Medium sized, early variety with slightly red-blushed, yellow skin and bright yellow flesh. Mild tartness and sweetness. Clingstone – Semi-freeestone. Mid-late July. Medium sized early variety, nearly fuzzless fruit, color is a beautiful red and golden yellow. Flesh is firm, smooth textured and fine-flavored. Clingstone – Semi-freeestone. Late July. Early, medium sized fruit with outstanding color; firm, flavorful, and sweet flesh. Clingstone – Semi-freeestone. Early-mid Aug. Large, nearly round, attractive yellow fruit. Mostly yellow skin with some red blush, is practically fuzzless. Firm yellow flesh has a very pleasant flavor and is resistant to browning. Superior canning and freezing qualities. Freestone. Early-mid Aug. A large round peach. Skin is a highly blushed red over a golden color. Firm, yellow flesh with excellent sweet flavor. 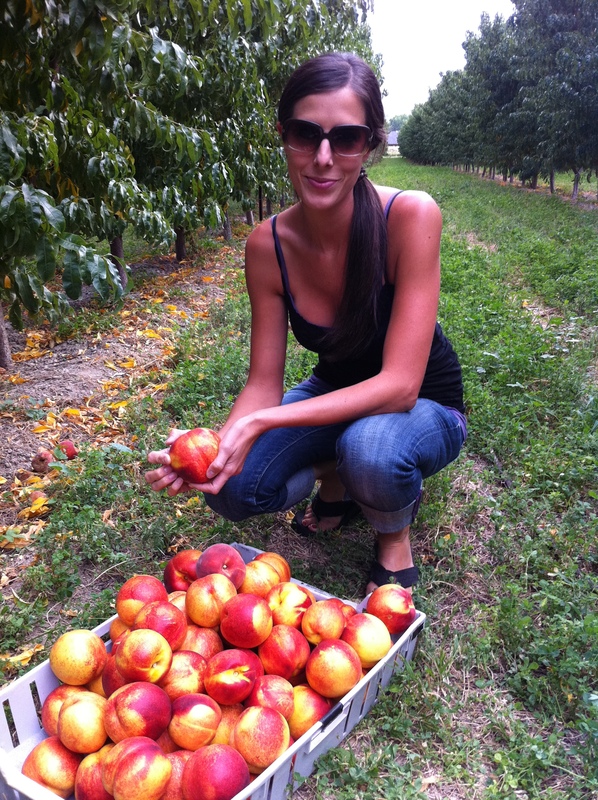 Red Globe is one of the most attractive peaches of the season. Excellent for fresh eating, canning, or freezing. Mid Aug. Large, round, attractive fruit that colors to about 80% bright red blush over yellow background. Flesh is yellow, firm and melting with great texture and flavor. Freestone. 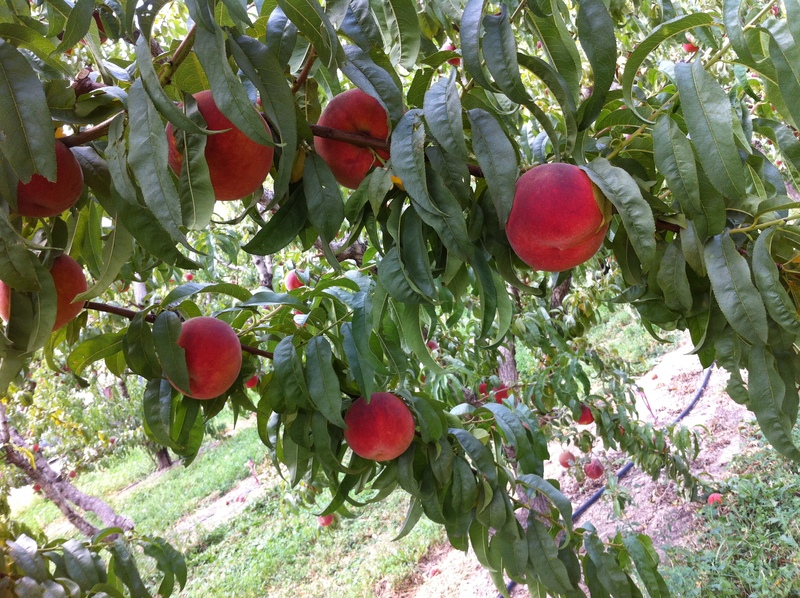 Mid-late Aug. A nice, large peach; color is 60% dark red with a bright yellow background. 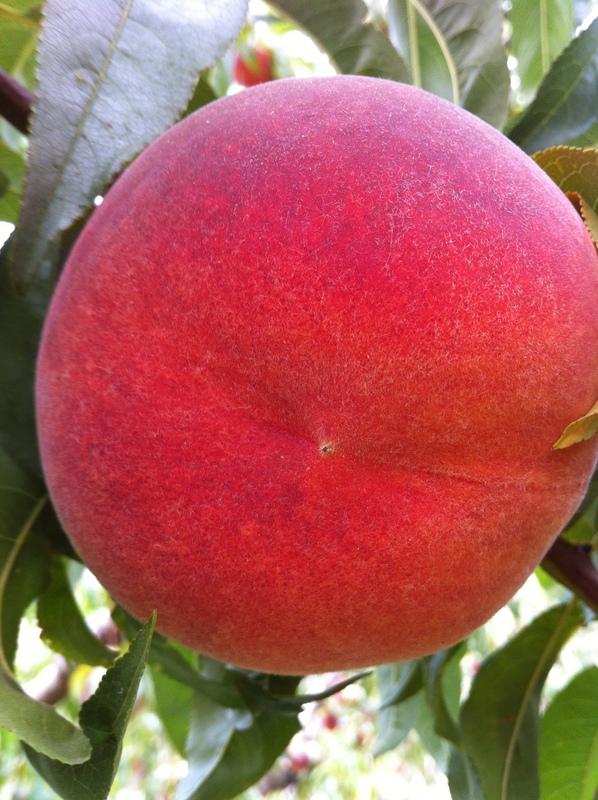 Great sweet peach flavor; Flesh is melting, yellow and very freestone. Late Aug. Large in size, nearly round, golden yellow with a reddish blush. Firm, juicy, clear, bright yellow flesh. While many varieties have better color than the Cresthaven, it’s flavor is one of the best. Great canner, freezer and shipper. Freestone. Late Aug. A very beautiful, large, yellowish-red fruit with red around the pit. Lovely texture and nicely balanced sweetness and tartness; it is excellent fresh and an exceptional freezing peach. Freestone. Late Aug.-early Sept. A very large, firm peach. Fruit is a gorgeous bright red (90%) over a yellow under color. It is mild and low in acid content; very sweet. Excellent fresh as well as for canning or freezing. Freestone.